I was really, really pleased with how this came out! I didn't really know what to expect, since I'd never had this almond cream-type of filling before, but it was delicious, with a chewy/crunchy top and creamy interior. The peaches added a very nice sweet and fruity counterpoint. 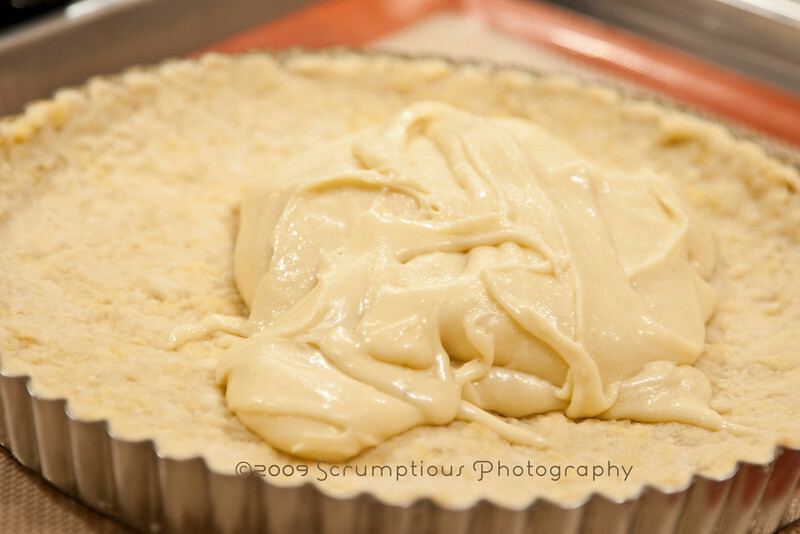 The tart shell was a par-baked recipe of Dorie's sweet tart dough, which we also used in La Palette's Strawberry Tart. 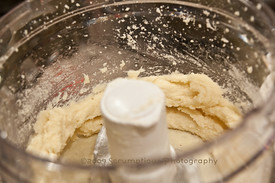 This time, to avoid cleaning the food processor twice for once recipe, I made the dough by hand with a dough cutter. It was much easier than I expected, and I'll probably be doing it more often! The almond cream consisted of butter, sugar, ground blanched almonds, a little flour and cornstarch, an egg yolk, and some rum. Dorie recommended assembling the cream in a food processor in that order, creaming the butter and sugar, adding the almonds till smooth, then the dry ingredients, then the yolk, and finally the lovely, lovely rum. Ingredient note: I used very finely ground almond flour, which came out to be 60g for the required 3/4 cup. Dorie says to drain and pat the fruit dry, or else the cream won't set during baking. 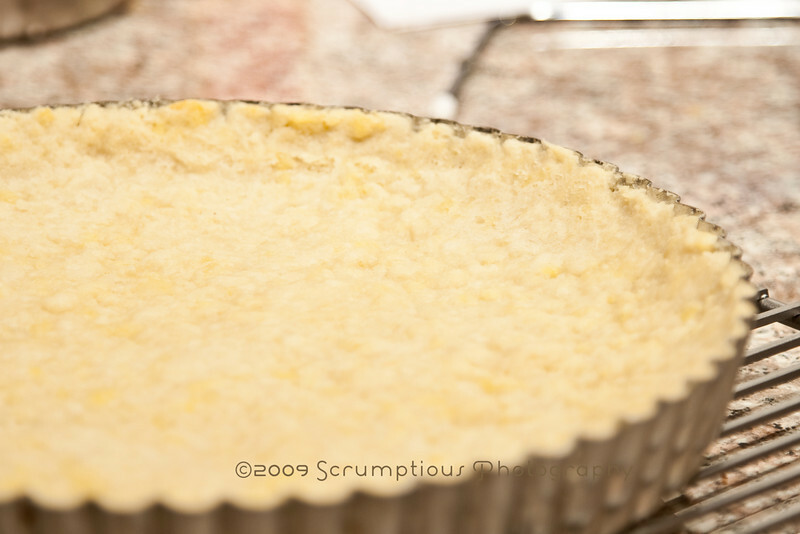 I had let the cream sit in the fridge overnight, so by the time I assembled the tart for baking, it was very thick and almost batter-like in consistency. Thanks so much to Dorie for choosing this recipe, and for having created such a wonderful book in the first place! Go check out her blog for the recipe and photos of her tart, and don't forget to check the rest of the TWD blogs for their creations! The colour of the peaches in the tart looks amazing! Very pretty. I'm in Paris now and it's freeeeeeeezing, so seeing your peach tart was like seeing a vision of summer. So glad you liked it. Btw, if you make it again, you can make the dough in your food processor, then just wipe the processor out -- no need to wash it -- and use it make the almond cream. Peaches look good in the tart! Very nice job! Looks beautiful as usual and that apron is too cute! What a great idea! Wow, what dreamy almond cream - all silky like. Very cool apron too, what a sweet gift. Your peach tart looks delicious! I'll definately be trying this again with some fresh summer fruits! Looks like the almond flour made for a really silky almond cream. The peaches look amazing - can you imagine how good this will be in the summer with some poached fresh peaches? Yum! So thoughtful of A. to make you that adorable apron. I love your apron! And this had to be wonderful with peaches! I am definitely going to try it that way sometime. Great idea to substitute pears for peaches! Must have been very tasty. @dorie, thanks for reading! 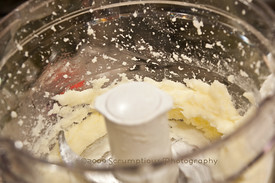 :) And thanks for the tip about the food processor -- that will be a big time-saver next time. I didn't understand the slicing thin crosswise either. So I just didn't bother. Looks great! 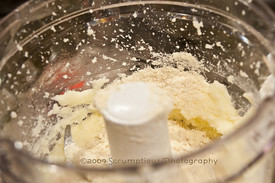 What size food processor do you use? Second... I would never have thought of peaches for that tart, I mean... I know the French classics and I've seen this tart in many flavors such as raspberry, apple, blueberry, black currant, etc... but never in peach! Very creative (perhaps unknowingly!!! LOL), very well done and totaly beautiful! 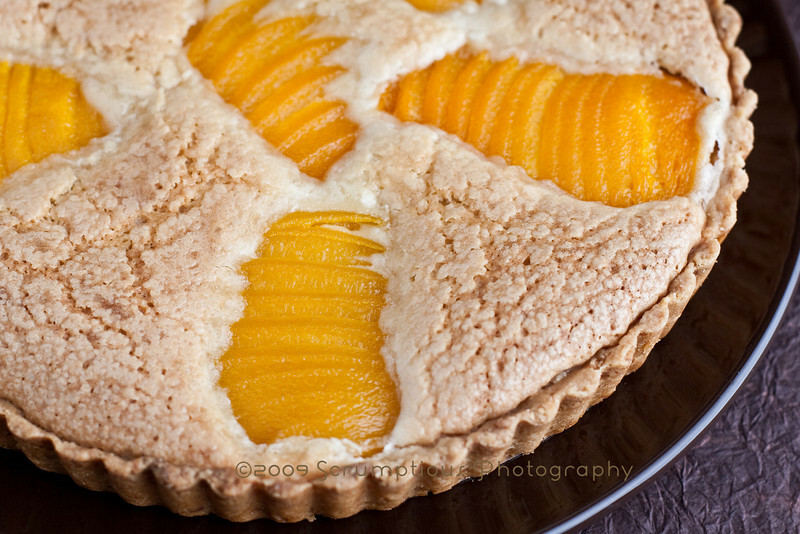 I think peaches would be WONDERFUL in this tart! Good call and it looks DIVINE! I love your peaches idea! I think they would be awesome, especially in the heavy syrup. I think I would do peach the next time. 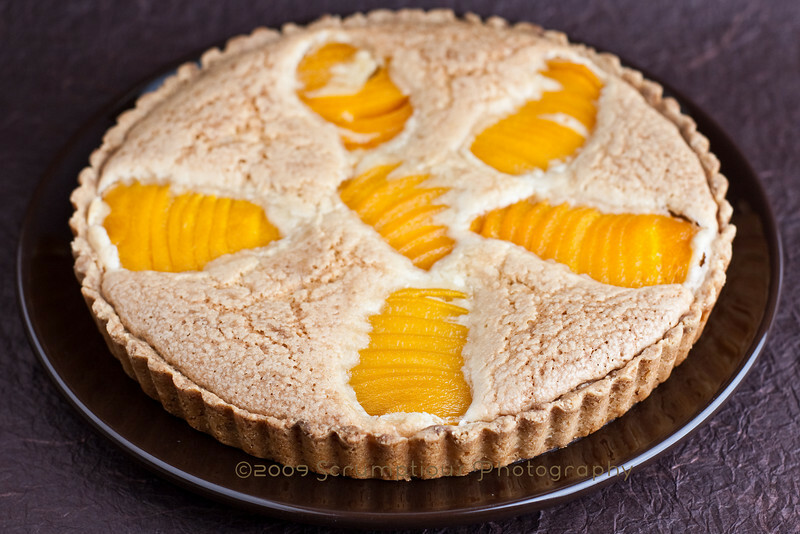 Your tart looks amazing and the peaches sound yummy. Love the apron, what a great gift! Fabulous photos. Don't worry - I think the fruit is supposed to sink just a bit, so that it's snuggled into the almond cream. Somehow I didn't even see that peaches were an option. That sounds really good. Yum and cute apron! 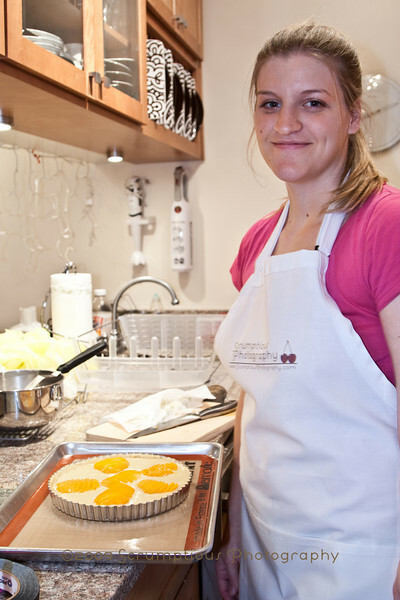 Love the apron and your tart looks great! Mmm, I bet peaches would be excellent in this!! It looks great, as usual. Great apron, too! I'd like to try peach next...or apple. I think I could make one of these a day! Oh, I love the peaches in this...they look stunning (the pears are a little pale looking compared to your peaches). 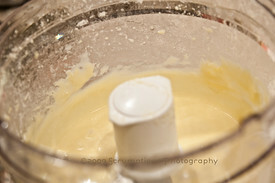 I also love how your batter looks, so light and fluffy. How cute is that apron...and you! So much fun! Your non-pear tart is beautiful! I am a peach fan vs a pear fan so I totally dig your substitution! PS. You are too cute in your apron. What a thoughtful gift from the A. He's definitely a keeper. OMG, I am in love. We looove peaches. Not pear people here either. 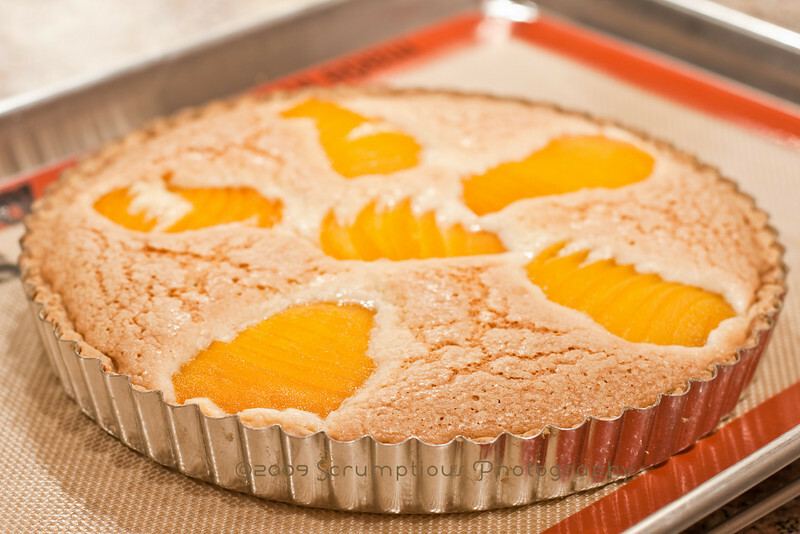 I made it with applea and while it was fab, I am drooling over the site of the peach almond tart. Thats next on the list. 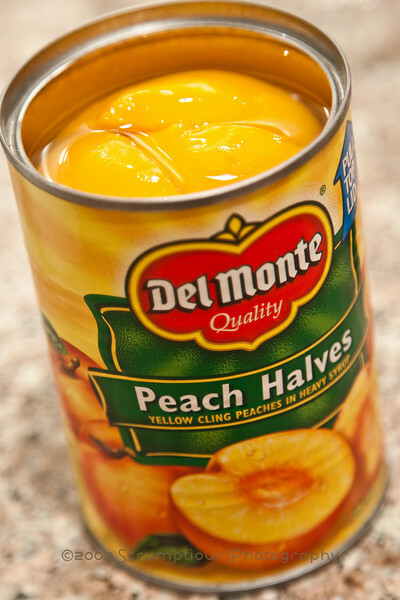 And I think I have some canned peaches too. Fab job babe! Your own personalized apron is a great idea! I love the color of the peaches in this dessert! Peaches and almonds are such a great combination. I'd love to have one of your tarts, too. wowww, your tart is so cute! Your peach tart is so nice I'll make one too when peaches arrive !! Mmmm, yummy! I think I would have liked the peaches better, honestly. Although the pear was good, you almost couldn't distinguish it. Those peaches look perfect and so yummy. peaches--not a bad mistake, if you ask me! looks great, and cute apron! The peaches look great - I might have to try this next time. And your baked almond cream looks practically meringue-like - yum! Funny mistake with great results. Beautiful fotos. Love the apron Kim...what a thoughtful gift! excellent choice subbing peaches...wow, love the vibrant color the peaches brought to the tart. Your tart is lovely! I love all your photos. Im looking fwd to seeing your next TWD! 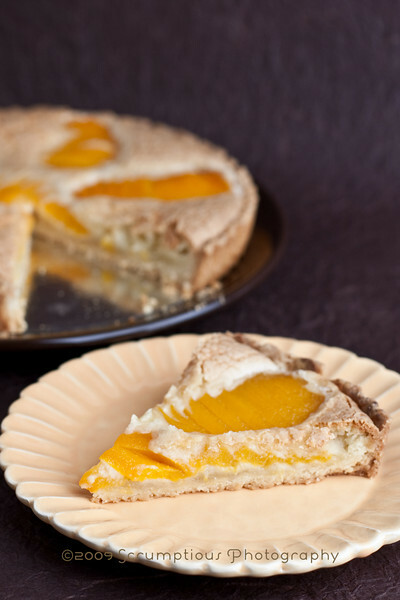 The peaches make for such a vibrant tart! I love your custom apron, what a nice gift. I love the color of the peaches--they really make the tart POP. I imagine they tasted great, too--I love peach pies and tarts. This looks so yummy with the peaches! How lucky are these cute little hubs that they have happy bakers? Love the apron.... great idea! Maybe a TWD apron in the wings might be fun too. Yes, totally farmer's market fresh peaches for a tart, definitely something to dream about. Very pretty tart and dorie liked it too! Yippee! I used almond flour as well. I liked it. I did peaches too! And I agree that this would definitely be more suited to the summertime. 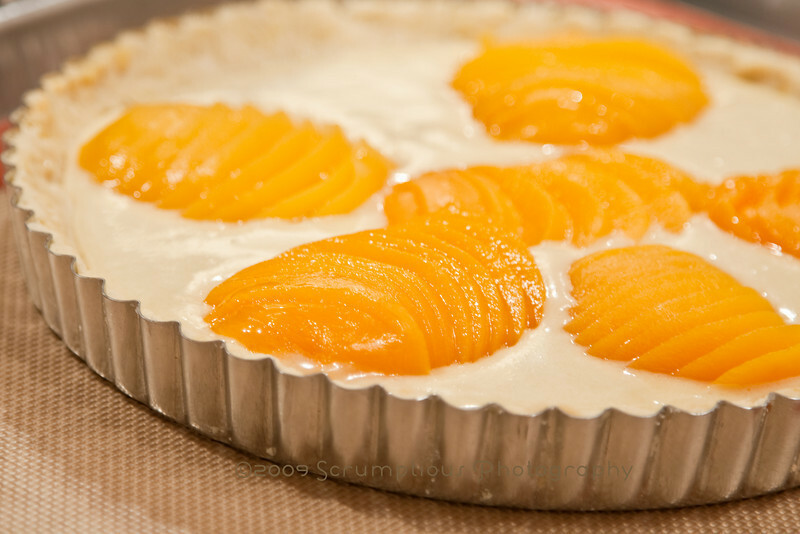 Your peach tart is beautiful - lovely contrast of colors. I think I'll try peach next time. I'll bet it was great with the peaches! 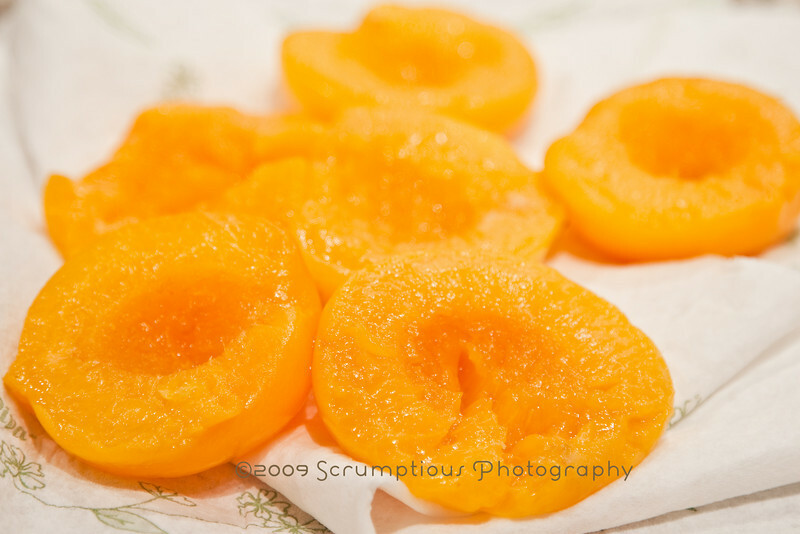 And yes, you'll have to make it again with fresh peaches - yum! Looks delicious! 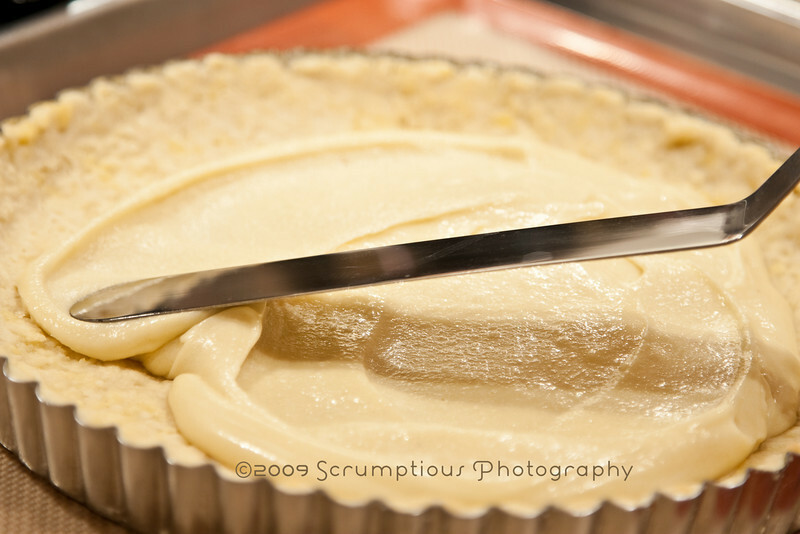 The bright yellow colour really gives the tart a lift! Cute apron!! The tart looks beautiful. I wondered when I saw the top picture how your pears had turned out so yellow/orange. =) Peaches sounds like a great idea to me, especially since I don't like pears. And the personalized apron is a neat idea! What a pretty silpat!!! This tart looks absolutely wonderful!!! !